Sean Yates released his autobiography ‘It’s All About the Bike’ today. In the book, which covers his years racing and as a team director, he explained how Bradley Wiggins nearly quit the Tour de France last year. “Wiggins felt like Froome had stabbed him in the back,” wrote Yates. He and team principal, David Brailsford convinced Wiggins to stay in the Tour. The book also details Yates controversial departure from Sky last winter, his life post-Sky and his new career as a part-time coach and family man. A US Federal judge ruled in favour of Lance Armstrong on Tuesday, saying he should not be held accountable for the lies in his books. Judge Morrison England said Armstrong’s right to free speech held more weight in the case, which asked for around $5 million. Five readers sued after Armstrong admitted to years of drug use and cheating en route to seven Tour de France wins. They claimed that Armstrong’s fabrications in his books, including It’s Not About The Bike and Every Second Counts, were deceitful and fraudulent under California’s consumer protection laws. Along with Armstrong, publishers Random House and Penguin Group, Bill Stapleton and Thomas Weisel were named in the suit. Armstrong faces other lawsuits stemming from his cheating. Last month, he settled out of court a £1m lawsuit with the Sunday Times. Vincenzo Nibali (Astana) leads the Vuelta a España but with fewer watts than when he won the Giro d’Italia in May. Team Manager Giuseppe Martinelli explained that Nibali produced 360 watts average on the Giro stage to Jafferau, 20 watts more than a similar stage to Andorra on Saturday. Even with its ride in the Tour de France, French team Sojasun lacks a sponsor and money to continue into 2014. Stéphane Heulot, manager of the second division team, gives himself until October 1 to find a backer. 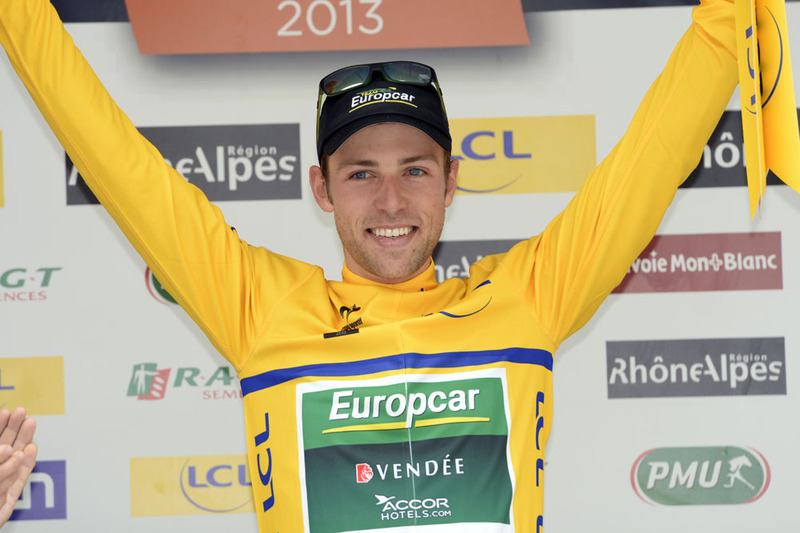 Canadian David Veilleux (Europcar), winner of Critérium du Dauphiné stage one, will retire at 25 years old this weekend. After racing in this weekend’s Canadian one-day races, he wants to turn his attention to his university studies.